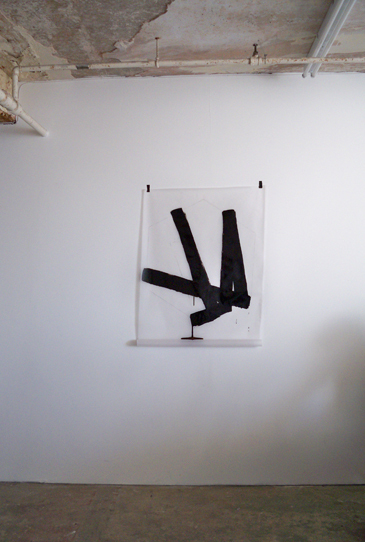 Dice, bitumen paint, tracing paper and marker. A dice-drawing. The title is taken from the lyrics of the song Turn the page by Bob Seeger, a song I heard a lot on the radio while driving through Pennsylvania in 2010. This work is related to Flowmatic and Destination. Shown at HaVE A LoOk! HAve a Look! at FormContent, London. My participation in the show was co-curated by Chris Fite-Wassilak and Kate McLarnon.